D.J. and her dad moved far from the small town and only home she ever knew. Now she's starting middle school in the city with kids she's never met. She tries to make friends, but they all appear to be slaves to screen time. D.J. just likes to garden, nurturing plants, watching them grow and thrive. It seems she'll never find a way to fit in, but then she awakens in a gorgeous garden where she meets Persephone, Goddess of Spring. She must be dreaming; her new friend can't possibly be real--and what could she know about getting along with gamers? D.J. really needs some ideas, or she might never find her own place in a complicated world. 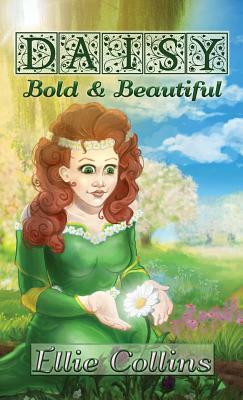 Daisy, Bold & Beautiful is the debut novel of middle-schooler Ellie Collins, daughter of award-winning author Stephanie Collins. Boys and girls alike will appreciate Ellie's keen eye for the challenges of growing up that she and her friends must face. Discover the wonderful writing of Ellie now, then follow her to learn about her writing and more books to come.